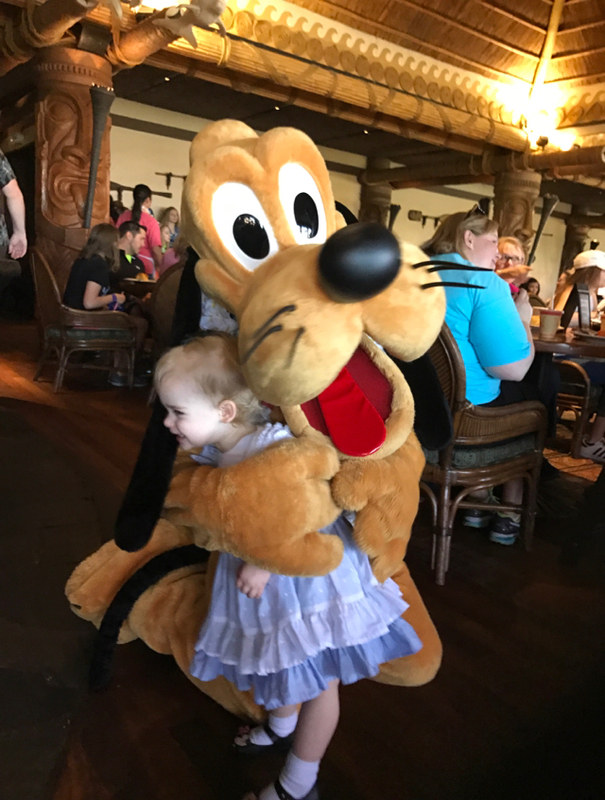 We started our second full day of Disney the way we started the first--with a character breakfast (have I mentioned how I think those are great ideas for people with toddlers?). 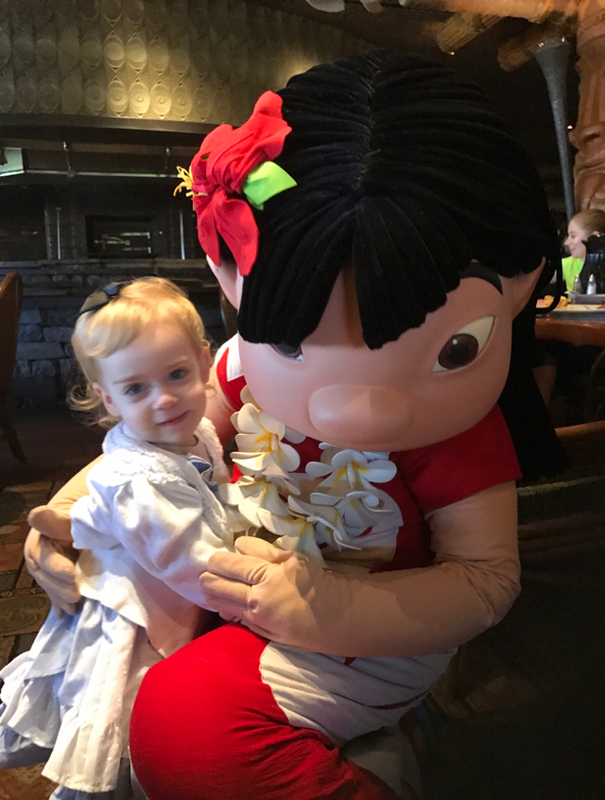 Since we were staying at the Polynesian we wanted to try the Ohana breakfast, with Lilo, Stitch and friends. 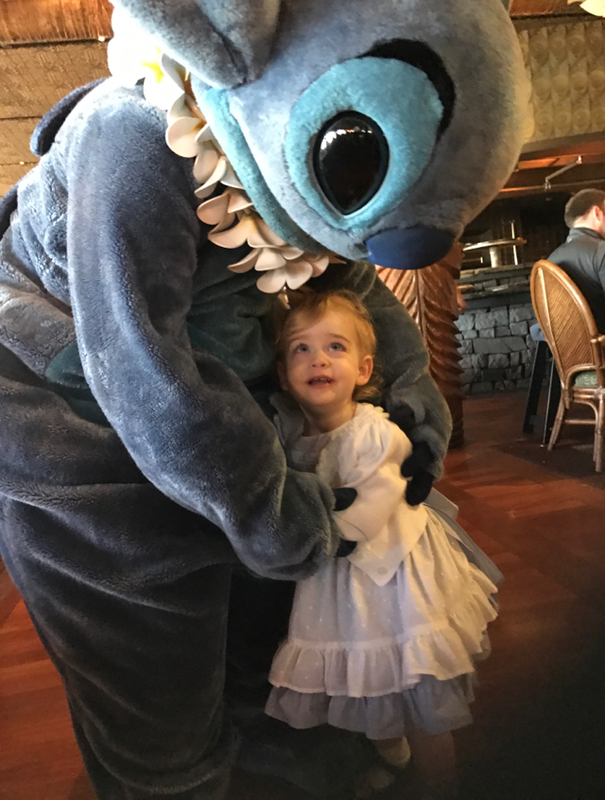 I had been having Charlotte watch Lilo and Stitch before we left so she would be familiar with the characters and I was a tad nervous that she would be afraid because she sometimes would say "stitch scary", but she did great! 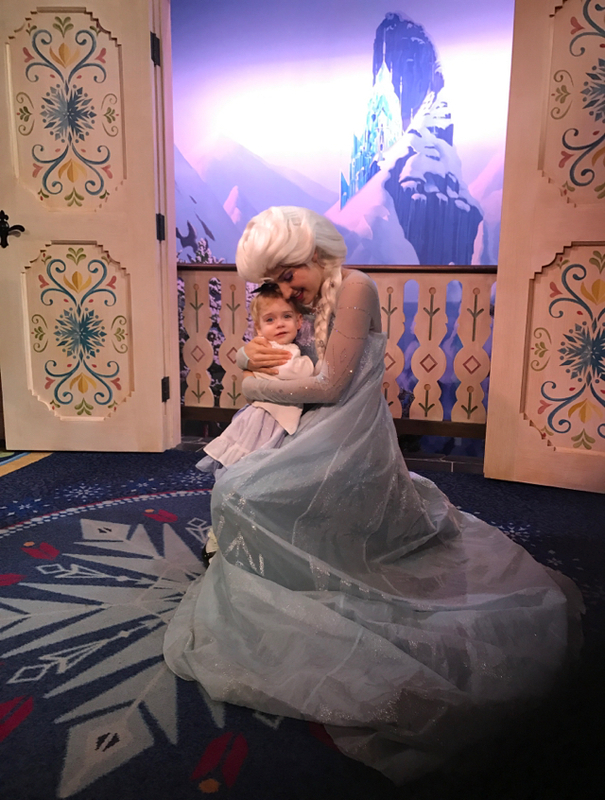 We actually were in a bit of a hurry that morning and so the staff was excellent at ensuring that C got to visit with all the characters before we had to scurry. Also, for the record, the breakfast was delicious and plentiful! After breakfast we quickly made our way to Hollywood Studios for a seating of Frozen the Sing a Long. It was so much fun and Charlotte loved it, especially when it snowed in the building! 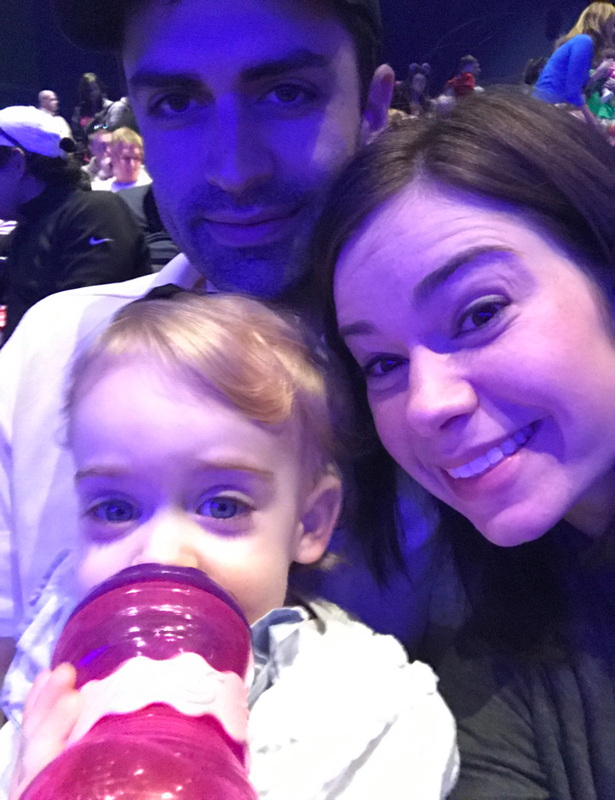 We also got to catch some of Disney Junior Live. 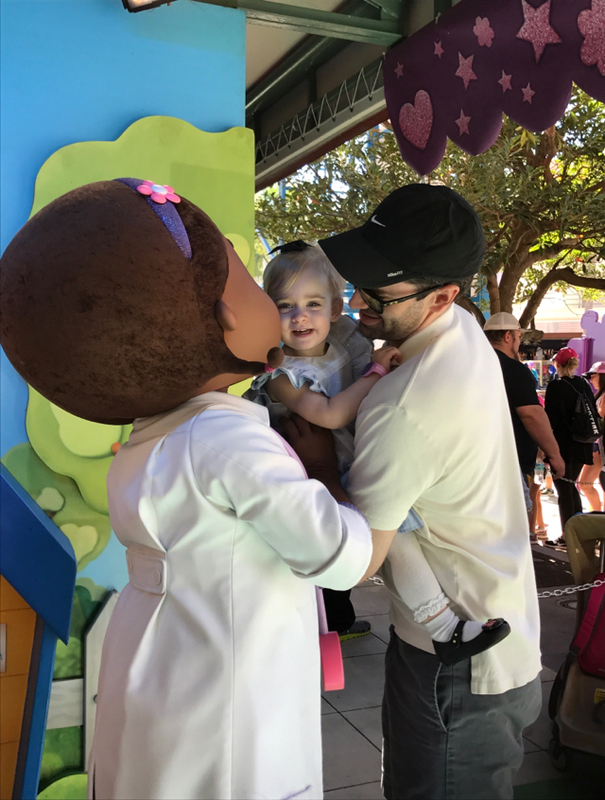 We skipped out on it a little early and ended up being able to meet Charlotte's favorite, Doc McStuffins. 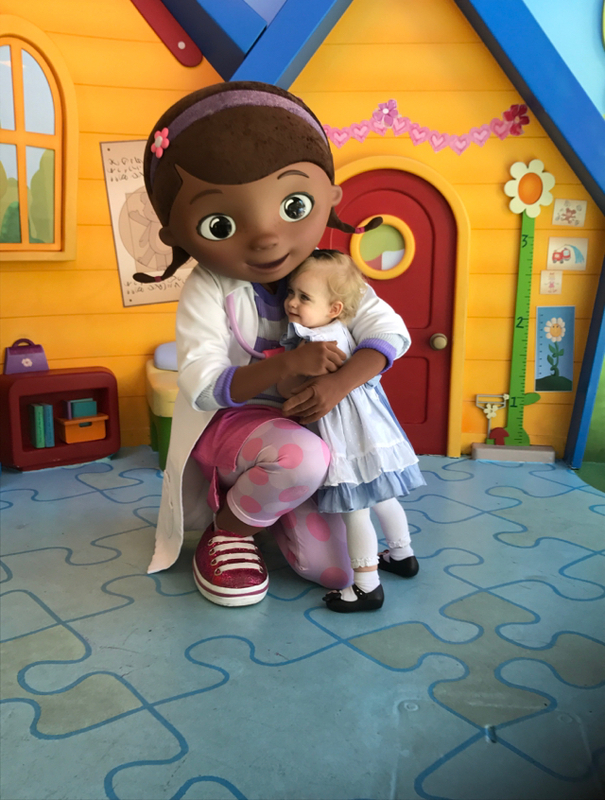 When it was her turn and she ran into Doc's arms, my heart melted. Her little face shone so bright and her smile was so big. 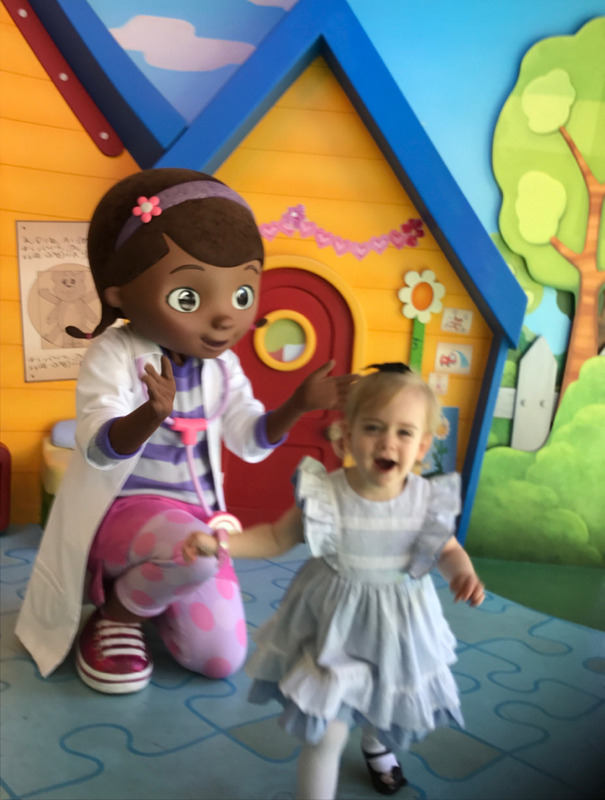 She was so excited--and that moment made all of the hustle and bustle to get there totally worth it. 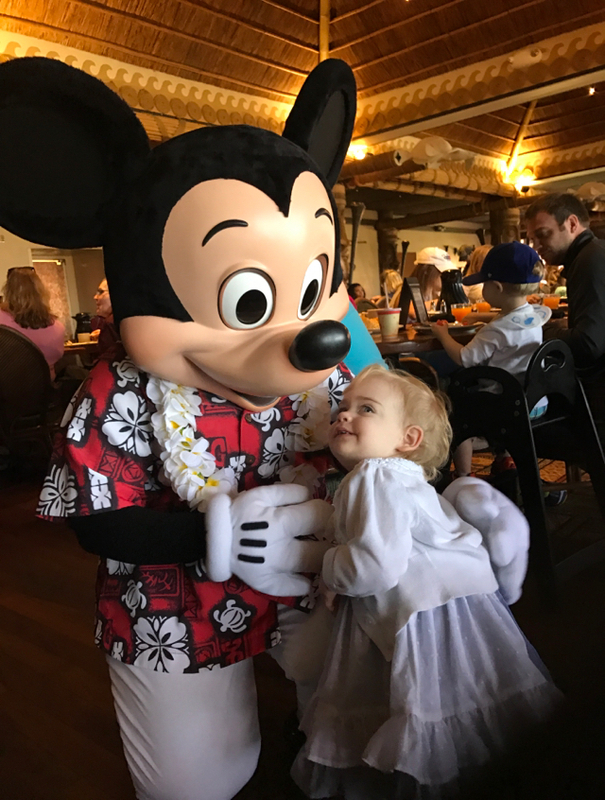 Some people would ask us if we thought C was too young to take to Disney because she wouldn't remember it. I actually used to think that myself--thinking that trips like this with young children were too much trouble when the person they were supposedly for wouldn't even remember it. Well, then I had a child and I understood. Just because a child (or adult) won't necessarily remember something doesn't mean it's important. I mean, I don't remember every party or event in college, or even class for that matter--that doesn't mean college wasn't important, right? 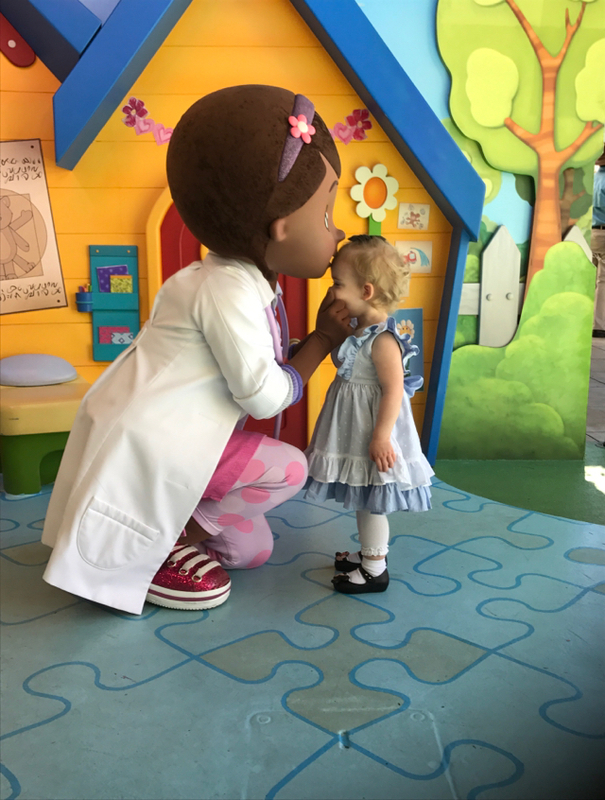 Charlotte won't remember this trip, or the trip to the playground we take next week, or the game of hide and seek last night--but that doesn't mean that those aren't important things to do, important time to spend together, important memories to create together. I think any time spent celebrating your child is worth it, no matter how grand or how small. After a nap, we took the monorail (which C came to love--calling it the "mono-Lail") to Epcot. It was kind of a cool day and C was tired so we knew we didn't have long. Our main objective was to see Ana and Elsa in Norway. Mission accomplished!! 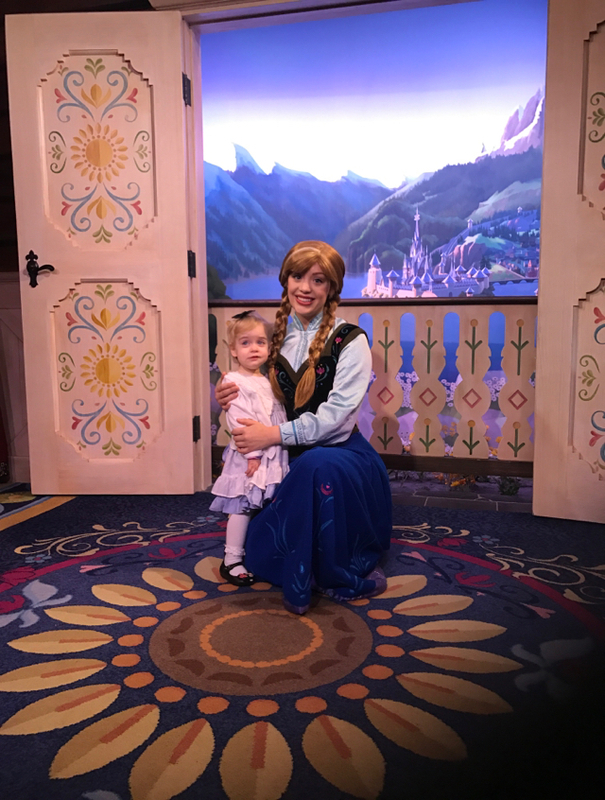 C was SO excited to see them--she ran right up to Elsa and said "Pitty dess"! It was so sweet. We had a very good dinner in Italy before we turned right around and headed back. Epcot seems so spaced out so the travel time from place to place seemed endless--but the scenery was beautiful and it was neat to walk through the different countries. We got to watch Chinese acrobats and C danced along with a band, complete with accordion, in Germany. It was a fun and laid back night but we needed it. We had a big day ahead of us!